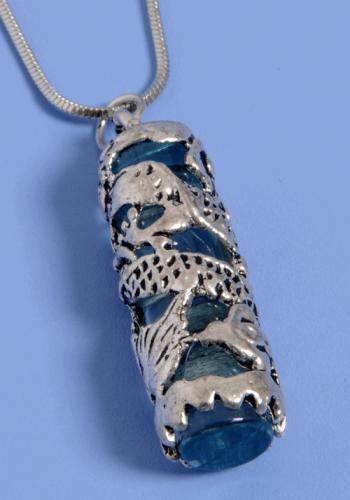 Torah Scrolls Shaped Necklace - Jewish Necklace - Blue. Shipped from Israel - Great Bargain. Jewish Torah Scrolls shaped necklace. 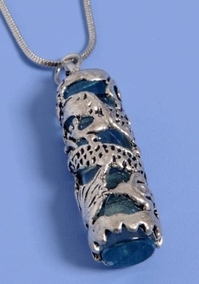 Silver necklace and stainless steel & glass pendant. Pendant Dimentions: 2.4cm long, 1cm diameter. Unique designed unisex necklace.